Employment Law Attorneys For Employees in San Bernardino: The city of San Bernardino serves as the county seat of San Bernardino County and is laid out over 81 square miles of the San Bernardino Valley. 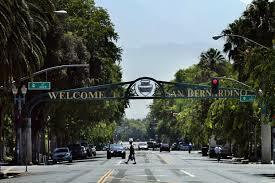 Over 200,000 live in San Bernardino, making it the 17th largest city in California and the 100th largest city in the country. San Bernardino has a long history of being involved in the retail and service industry, both of which largely make up the city’s economy. The city is known as being the original site of the world’s very first McDonald’s restaurant where the McDonald’s Museum now sits. Many regard the retail industry as being fairly safe, but as a findings from NIOSH note, the retail industry experiences a high number of injuries and illnesses. Employers in retail often will encourage or create an environment where workers may feel uncomfortable taking the breaks they are entitled to in order to protect their health and their safety. In some instances an employer may also insist that an employee work overtime while not properly compensating an employee for his or her time. Based out of Los Angeles and Pasadena, the Azadian Law Group, PC educates employees about their rights in the workplace and helps with a number of issues including wrongful termination, sexual harassment, and wage & hour violations. The Azadian Law Group, PC is devoted to employment law and is committed to offering all of our clients expert, in depth knowledge and to bringing their claims to the best possible resolution. To schedule your free consultation with an experienced employment law attorney, we welcome you to call (626) 449-4944.